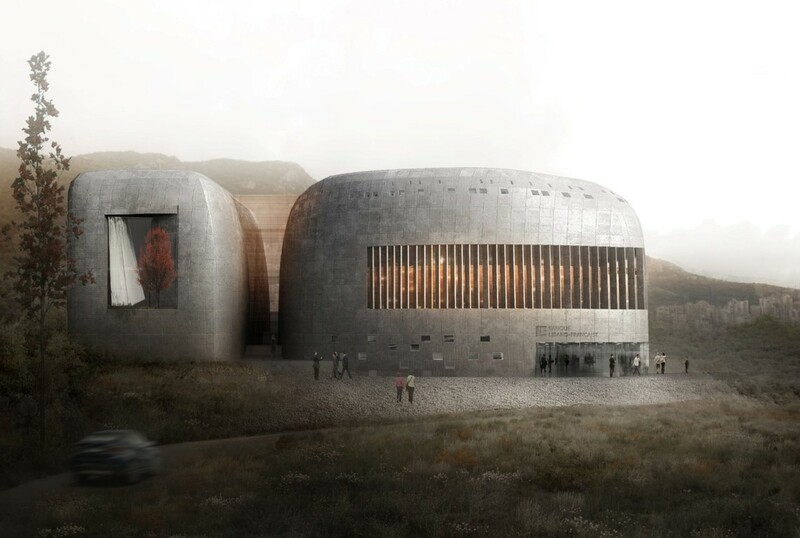 An emergency data processing bunker for one of Lebanon’s leading banks, where the duality between a brutal exterior and the inviting common interior essence reflects our rethinking around a contemporary disaster center. 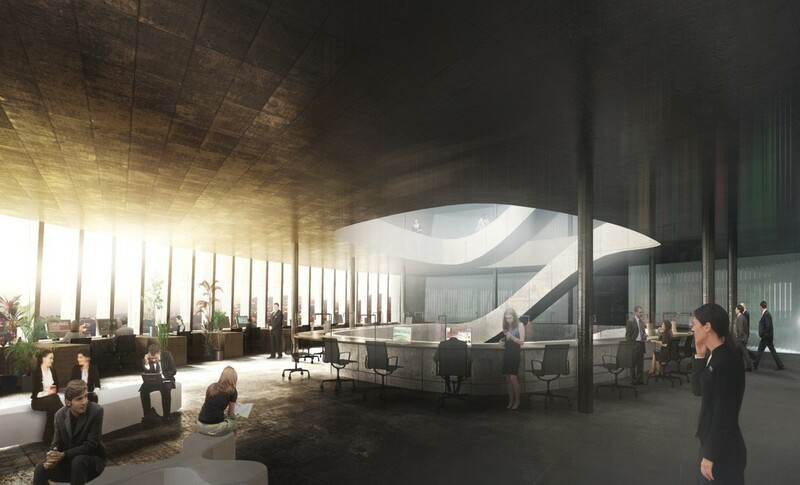 The project, for Banque Libano-Française, includes four underground levels, a data processing center and four stories above grade. 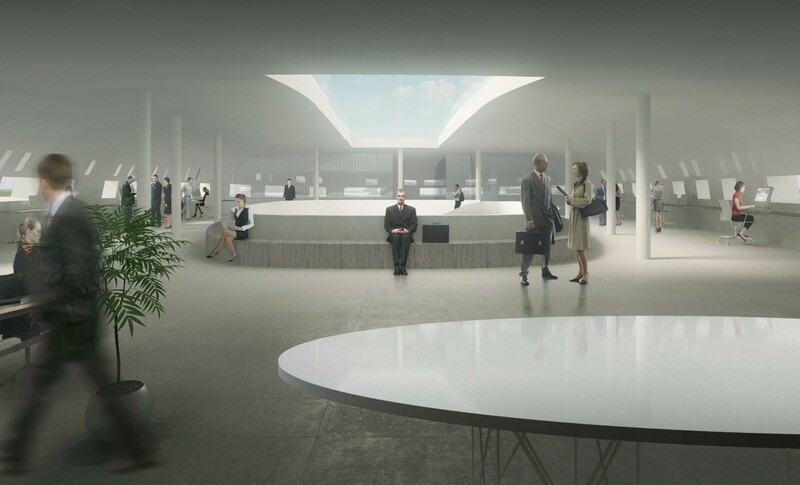 Upper floors are devoted to management offices and open spaces that would be used only in the case of a disaster. 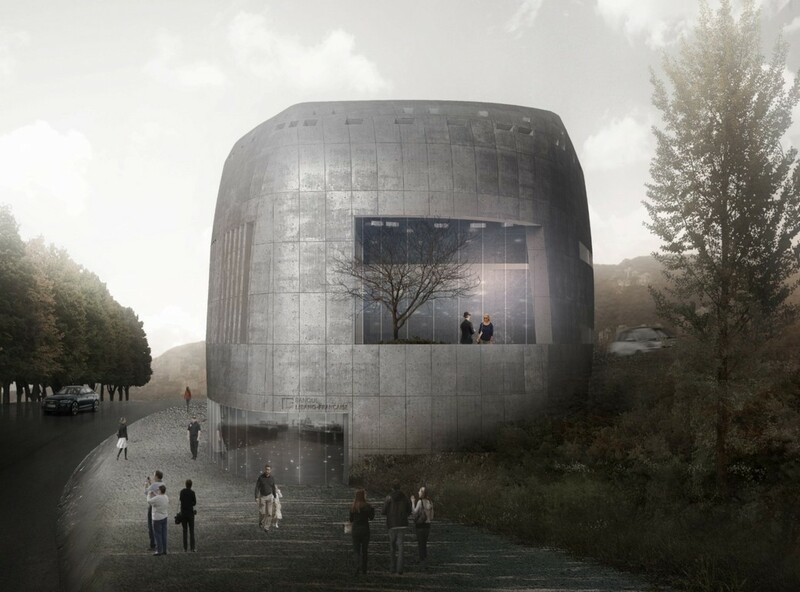 We studied the principal of the bunker because of its ‘brutalist’ heaviness, coldness and the inevitable closure to its site of this facility located on a main road near Ghazir, a mountain village thirty kilometers north of Beirut. 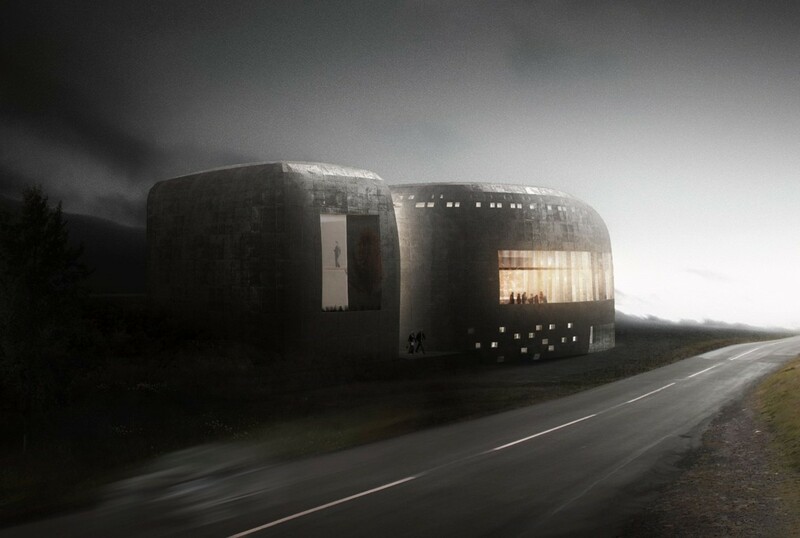 By way of contrast we sought to create an unexpected lightness inside. The interior was thus conceived as a kind of photographic negative of the exterior. The main elements of the program are concentrated in a main structure with a central circulation space with stairways and generous overhead lighting. This architecture, which gives as much importance to social aspects as spatial considerations, participates in the definition of a new type of urbanism. 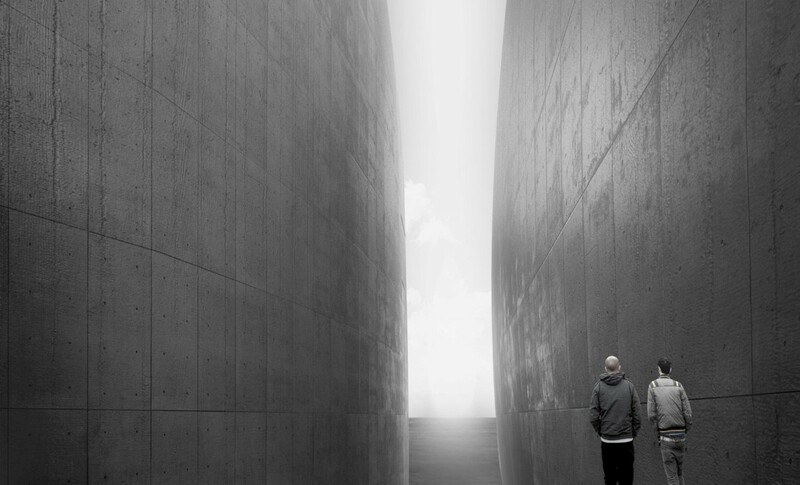 The bunker allows a rethinking of the concept of unity within the discontinuity of the city. 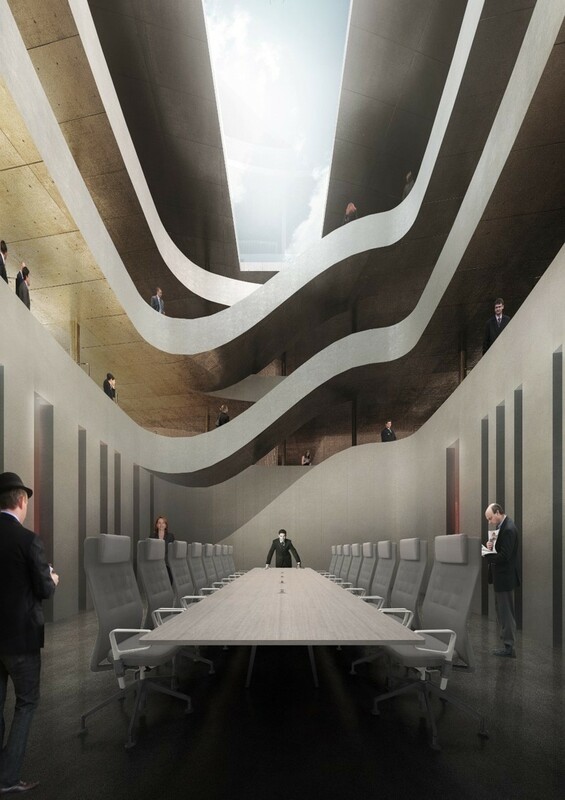 The central, undivided void and its ramps encourage the free movement of users and encourages their receptivity to participation in a calm, collective activity.